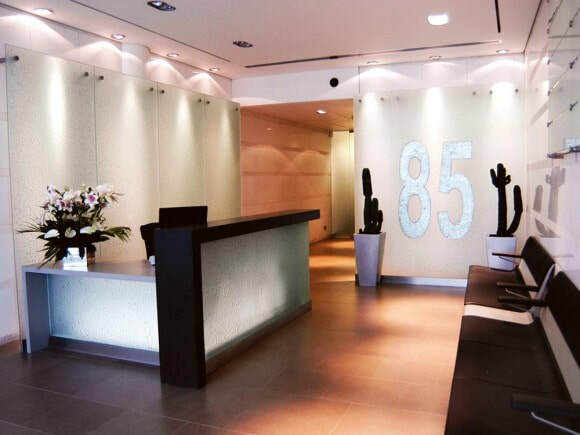 85 Tottenham Court business centre is a modern glass panelled building located close to Goodge Street underground tube station. Euston mainline station is walking distance away giving this office rental good transport links to London and beyond. Within the centre companies have access to the many facilities it has to offer which include meeting room facilities and a roof terrace that is decked with seating and tables. Suitable for PR and media businesses, the interior is bright and contemporary and has the added bonus of have very good natural light due to it floor to ceiling windows. Office space can be taken up in a variety of sizes and have communication wiring already installed enabling a straight forward move in. with negotiable rental agreements starting from 2 months, these serviced offices offer a great solution for organizations that need flexible accommodation.